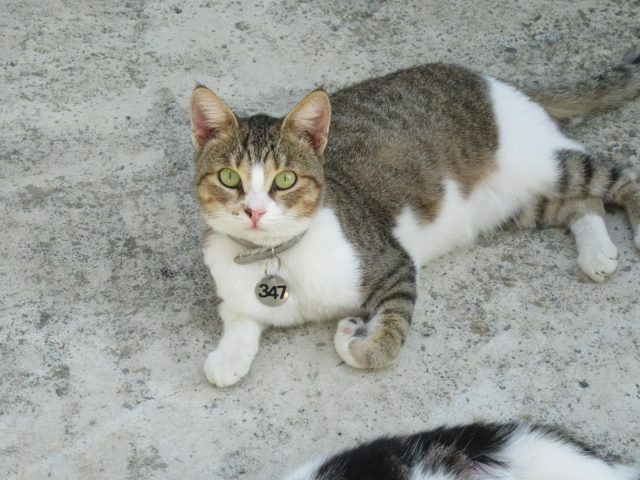 Pinkie wears collar number 347 at the sanctuary & she is a what’s known as a tabby & white cat. She came to the MCPS as a adult in June 2017, we think she was born sometime in 2015. We can’t be entirely sure. Pinkie is quite a shy girl and spends quite a lot of time in the scaredy cat area at the sanctuary. She does like a fuss every now & then on her terms of course. Pinkie has been spayed, could you home her?